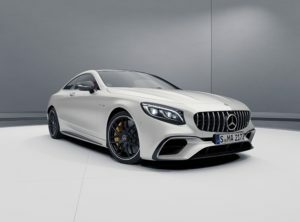 Shocking, astonishing, exciting, remarkable design and so on, this is all about Mercedes-AMG S 63 4MATIC+ Coupe. In the interior, the dashboard transitions almost seamlessly into the doors. In combination with the well-thought-out handling, the result is an instinctive experience of space. Just the right place to experience the 900 Newton meter torque of the AMG 4.0-liter V8 biturbo engine as directly as possible. 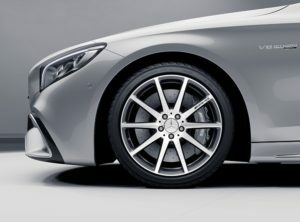 Shaped by the typical proportions of a large luxury coupe. In the form of a long bonnet with emphatic power domes and an elegant roof line including frameless side windows. With a back end signaling the imposing presence of the Mercedes-AMG S 63 4MATIC+ Coupe. The interior AMG S 63 4MATIC+ Coupe makes you feel comfortable, quiet and provides you exclusive atmosphere. The interior combines a luxurious atmosphere with sports functionality. 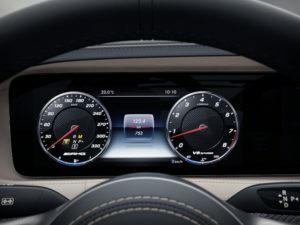 It is clear that in the AMG instrument cluster with its 330 km/h dial and AMG-specific displays, as well as in the AMG sports seats in nappa leather with their spacial V8 seat graphic and the embossed AMG emblem in the central armrest. 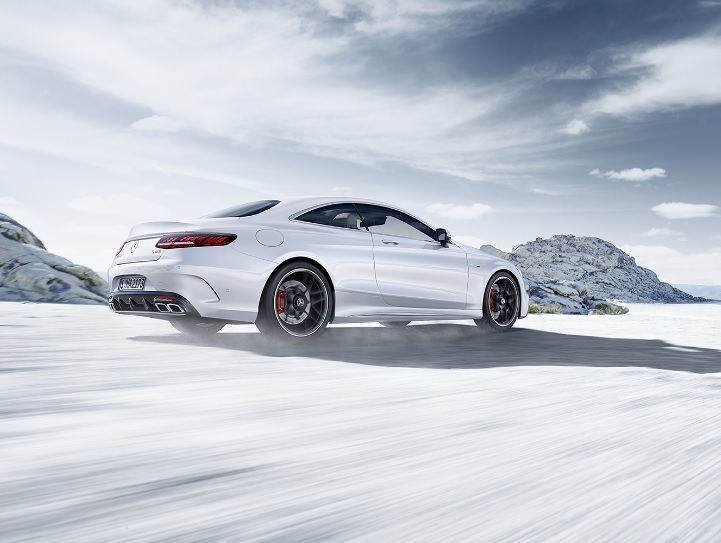 The Mercedes-AMG S 63 4MATIC+ Coupe cannot hide its motorsport roots. 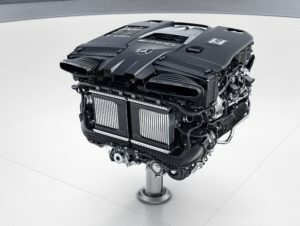 They are directly tangible as soon as you touch the accelerator and bring the AMG 4.0-litre V8 biturbo engine to life. When 450 kW (612 hp) and 900 Nm of torque accelerate the Mercedes-AMG S 63 4MATIC+ Coupe from 0 to 100 km/h in just 3.5 seconds. When pure force combines with pure emotion to produce perfect performance.